In Culture Club Harmonica part 1, we studied Judd Lander‘s harp playing on the band’s top 10 hit, Church Of The Poison Mind. 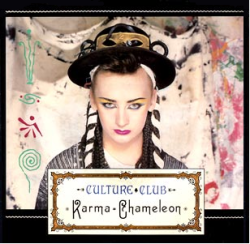 Their follow up single, Karma Chameleon, went flying to the top of the charts worldwide, where it stayed for several weeks. To this day it remains a classic of 1980’s pop. 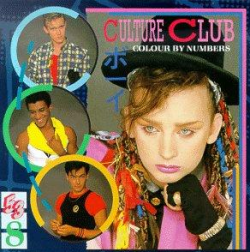 Culture Club and Boy George had well and truly arrived. To recap for a moment, Judd Lander is purported to have taken lessons from Sonny Boy II during his formative playing days in Liverpool. He subsequently relocated to London where he found studio session work and launched Charisma Records. His playing is not complex, relying as it does on cross harp blues sequences, but it is highly polished and instantly recognisable. Full of natural tone and excellent phrasing, Judd Lander gives his harp licks real ‘voice’ without resorting to digital trickery or overdriven tubes. The Harp Surgery has had a number of enquiries regarding the harp riffs used in Culture Club’s hits and who was responsible for them. The culprit was Judd Lander, a harp player from Liverpool who managed to ingratiate himself with Sonny Boy II before moving to London as a session musician and co-founding the Charisma record label. You can find more about Judd in our Harp Trivia pages and on his website.